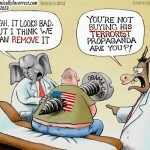 bamacare failed. There is no denying it anymore. The supposed “signature achievement” of the 44th president isn’t just opposed by Republicans. The Affordable Care Act has now been jilted also by many Democrats, who, like so modern-day Lotharios, have abandoned their once-burning ardor for state insurance exchanges to pursue “single-payer” health care. Some readers are yelling, “That was the plan all along!” Yes, but the stew is not fully cooked. I doubt President Obama and the Pelosi Congress of 2009 and 2010 planned for their party to move so radically this soon. Oh well. With burning hatred for everything Trump as the accelerant — and with polling popularity of Bernie Sanders’s “Medicare-for-all” legislation of last year serving as a justification — much of the Democratic party now unapologetically embraces outright socialized medicine. The newly filed 120-page “Medicare for All Act of 2019,” authored by Pramila Jayapal (D, Wash.), already has 106 co-sponsors — nearly half of the Democratic caucus — and it seeks to yank America hard toward the port side of the political spectrum. The bill — which resembles Medicaid more than it does Medicare — would transform our entire health-care system into an iron-fisted centralized technocracy, with government bureaucrats and bioethicists controlling virtually every aspect of American health care from the delivery of medical treatment, to the payment of doctors, to even, perhaps, the building of hospitals. It would obliterate the health-insurance industry and legalize government seizure of pharmaceutical manufacturers’ patents if they refuse to yield to government drug-price controls. It Would Drown the Country in Red Ink: True to its title, the bill promises comprehensive and encompassing “free” health care for everyone, including primary care, hospital and outpatient services, dental coverage, vision, audiology, women’s reproductive health services, long-term care, prescription drugs, mental-health and substance-abuse treatment, laboratory and diagnostic services, ambulatory services, the list goes on and on. Last year’s version of the plan authored by Bernie Sanders (I., Vt.) — which didn’t include coverage for dental and long-term care — was estimated to add $32 trillion to the budget over ten years. It is also not irrelevant that the current Medicare — which is far more limited — is scheduled to go broke in 2028. Private Payment for Covered Health Services Would Effectively Be Banned: The bill requires that all covered medical services be provided without any out-of-pocket cost to patients. The only fee to which a doctor, hospital, or other service provider would be entitled would be that paid by the government. Kiss the health-insurance industry goodbye. Accept the government fee as payment in full. Allow the government to inspect their books for a variety of purposes and bury themselves in administrative duties, such as filing periodic reports. Accept other provisions regulators may impose later — which, as we saw with Obamacare, could be onerous and intrusive and aimed as much at effecting social change as providing access to medical treatment. 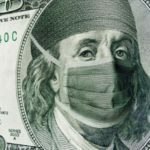 Private-Pay Health Care Would Be Destroyed: What about doctors who wish to operate concierge practices, that is, accept cash directly from patients? Outside of the few non-covered fields such as cosmetic surgery, good luck! The doctor cannot have signed a participation agreement, since qualified providers “may not bill or enter into any private contract with any individual eligible for benefits under the Act for any item or service that is a benefit under this Act.” That means the doctor’s entire practice would have to be made up of people who opted not to be covered by the government, a very small pool of patients — the few very wealthy who could afford to foot their entire medical expenses out of their own pockets, and I suppose, “medical tourists” who travel to the U.S. for the purpose of obtaining treatment. It is the sense of Congress that tens of millions of people in the United States do not receive healthcare services while billions of dollars that could be spent on providing health care are diverted to profit. There is a moral imperative to correct the massive deficiencies in our current health system and to eliminate profit from the provision of health care. To enforce the “sense of Congress,” the bill forbids bureaucrats who determine the medical fees that will be paid to providers — which includes institutions as well as doctors and group practices — from taking into account the costs of “marketing” the “profit or net revenue of the provider, or increasing the profit or net revenue of the provider” or “incentive payments, bonuses, or other compensation based on patient utilization of items and services, or any financial measure applied with respect to the provider.” You think doctors have trouble receiving adequate compensation from Medicare and Medicaid now? Just you wait! The Government Could Steal Pharmaceutical Patents: The bill requires the government to negotiate the price of medicines with drug companies. The bargaining power in that negotiation would — as with participation agreements — be all with the government. If a company refused to agree to the government’s price, the bill states, “The Secretary shall authorize the use of any patent,” by another company “for purposes of manufacturing such drug for sale under Medicare for All Program,” with compensation paid to the patent-owning company in an amount determined by the bureaucracy. How willing would pharmaceutical executives be to green-light the billions in investments required to develop new medicines knowing that the government could simply seize their patent and license another company to manufacture the drugs if they refused to sell it at a price the government demands? 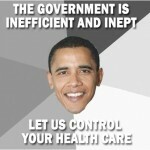 Illegal Aliens Would Receive Free Health Care. Eligibility to receive benefits is not limited to citizens and aliens here legally. Rather, the bill reads: “Every individual who is a resident of the United States is entitled to benefits for health care services under this Act.” Illegal aliens living here are residents. Talk about a migration magnet. The only limitation on coverage for aliens is a provision that forbids eligibility to anyone traveling here “for the sole purpose of obtaining health care items and services provided under the program.” That’s much less than meets the eye. If an illegal alien traveled here to work, to escape violence, or to be with family, the exclusion clause would not apply. Further demonstrating the intent to cover those here illegally, enrollment in the program would be automatic “at the time of birth in the United States (or upon establishment of residence in the United States).” Residency could conceivably be established by a state driver’s license — now widely allowed illegal aliens — or even a utility bill. And get this: Unlike today’s Medicare identifier, the new Medicare Card would specifically not include a Social Security number, which many illegal aliens don’t possess. The Medicare for All Act of 2019 won’t become law while there is a Republican Senate and president. But the 107 co-sponsors in the House have put the country on notice. If the Democrats take over the government in 2021 as they — and some Never Trump Republicans — hope, by 2022, the United States health-care system will become a wholly controlled subsidiary of the United States government, bereft of liberty, increasingly sclerotic, managed by unelected bureaucrats churning out thousands of pages of onerous regulations, a centralized authoritarian mess from which the country’s health-care system would never recover. 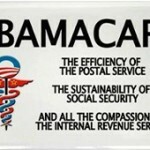 Health Reform: How do you enact a massive new program, and then keep it from being repealed after it fails? It’s simple. Just pull the numbers out of thin air. That’s basically what happened with ObamaCare. When centrist Democrats were deciding whether to support ObamaCare in 2010, the “nonpartisan” Congressional Budget Office told them not to worry. The law, it said, would cut the deficit. 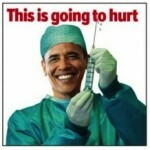 It would bring 24 million people into the new ObamaCare exchanges. Subsidy costs would be modest. And the number of uninsured would fall by more than half. Those Dems signed on. Had the CBO been better at predicting the future of health care under ObamaCare, it’s likely that Democrats would have scaled back their plans, while perhaps seeking Republican input. Now we learn that the CBO wildly exaggerated the impact of the Republicans’ repeal effort when it said that 22 million would lose coverage as a result. Almost all that loss was from repealing the individual mandate. CBO said 7 million people would drop out of the individual insurance market. Another 4 million would lose employer coverage. And 4 million would cancel their Medicaid — even though it’s free. All in the first year. At the time, we argued that the CBO had hugely inflated those numbers because it vastly overestimated the effectiveness of the individual mandate. Ironically, Republicans ended up repealing the individual mandate tax penalty, but keeping the rest of ObamaCare. So what happened? 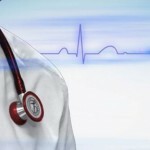 This week, the Center for Medicare and Medicaid Services released its latest annual report on national health spending. The intrepid Philip Klein at the Washington Examiner noticed that, buried in a footnote, was a stunning rebuke of those CBO forecasts. In other words, the CBO was off by a factor of six. These forecasting errors don’t even rise to the “good enough for government work” level. But they were good enough to get ObamaCare on the books, and then keep it there. Over the last several years, states that expanded Medicaid to able-bodied adults have seen costs skyrocket and patients lose access to critical medical care. Yet despite this disastrous track record, many are recklessly rushing to expand Medicaid in their states. On July 6, Medicaid expansion advocates delivered boxes full of signatures to Idaho’s secretary of state to place the issue on the state’s ballot in November. Just one day earlier, another ballot drive collected enough signatures to expand Medicaid in Nebraska. In Maine, pro-Medicaid lawmakers are preparing to raise fresh new taxes to grow the program. ObamaCare enrollees should brace themselves for another year of double-digit premium hikes. Average premiums for plans sold through the state and federal insurance exchanges will jump as much as 32% next year, according to a recent report from actuarial firm Milliman. Consumers in some markets could face 80% rate hikes, according to a separate analysis from Blue Cross Blue Shield. If you’ve ever been in a collision, you’ve probably dealt with a body shop. In all likelihood, the process went smoothly. You paid your deductible, your insurer paid the rest, and that was the end of the financial side of the repair. Health care works differently. After eight-year-old Ben Millheim injured himself during a camping trip, his family was stuck with a $32,000 bill from the sky-ambulance company that flew him 88 miles to a hospital in St. Louis. That was the balance that remained after the Millheims’ insurer paid $12,000 for the service. Elizabeth Moreno was stuck with a bill for $17,850 because a physician asked her to provide a urine sample. She didn’t know that the doctor’s testing lab was out of her insurance network. Moreno’s insurer, Blue Cross Blue Shield of Texas, which would have paid an in-network lab $101 for the service, refused to cover the bill at all. Fearing for his daughter’s credit rating, Moreno’s father bargained the bill down to $5,000 and paid. 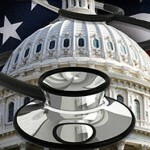 Health Reform: For three years running, the uninsured rate has remained unchanged, new government data show. 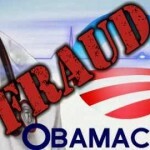 That means, despite massive taxpayer costs, ObamaCare is tapped out. It’s time to try something better. According to the Centers for Disease Control, the overall uninsured rate last year was 9.1%, the same as it was in 2015. If you take out retirees, who are automatically covered by Medicare, the uninsured rate was 10.7% last year, up a fraction from 10.5% in 2015. It’s beginning to look like the Republicans have pretty much abandoned their promise to “repeal and replace” Obamacare. Considering they don’t have the votes to do it this does not come as a big surprise. If they want to remain in power though, they have to come up with something. Fortunately, President Donald Trump is leading and may announce as soon as Thursday a plan to bring the cost of prescription drugs down using market forces rather than mandates. Working through Health and Human Services Secretary Alex Azar, the administration is expected to strongly endorse price competition though the formulary process (developing a list of approved drugs selected to provide the most value) as the key to controlling drug costs. This is what the voters want. 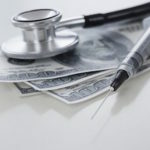 According to several recent polls controlling drug costs is one of the three or four issues most important to people deemed likely to vote in the next elections. Therefore, it’s fortunate good policy and good politics are intersect this way. Even common-sense approaches to controlling costs — like moving prescription drugs from Medicare Part B to Medicare Part D to increase the government’s ability to negotiate on price — will face fierce opposition on Capitol Hill from drug makers (PhRMA spent $150 million in advertising in favor of Obamacare passage) and from those who believe a Bernie Sanders-style single payer approach is the only reform Congress should even think about enacting. It’s up to House Speaker Paul Ryan and Senate Majority Leader Mitch McConnell whether they want to follow Mr. Trump’s lead and go further. They’ve been burned, badly, by their failure to “repeal and replace” and with their colleagues are reluctant to take up the issue again. From a political standpoint, that would be an epic fail leading to serious consequences for the GOP’s congressional majority. Rather than wipe the slate clean, they can utilize now-proven concepts used by pharmacy benefits managers, or PBMs, to produce savings for consumers. Again, this is something the voters want. No one has to go all in at first. Moving drugs to Medicare Part D as a demonstration project for certain therapeutic classes could be the first step toward future, system-wide reform if, as it is almost certain to do, it works. On the formulary side, the idea of allowing approved plans to cover just one drug per category or class within Medicare’s protected classes rather than two would also increase the government’s bargaining power on behalf of patients. That could be a tough sell in a town where drug companies spend millions on lobbyists to make sure that profits stay high, but as part of a package of reforms coming out of HHS to lower drug prices and reduce out-of-pocket costs it would just be one of many changes producing cheaper health care without compromising quality or access. The changes the administration is expected to make can be enacted quickly and efficiently. Costs will come down in the near term in a way meaningful to most consumers. In the long run there’s still much to be done. Obamacare did not deliver on its promise: People lost the health care they liked, what they could get was more expensive, year by year, and the range of choices available to them contracted. The only way to fix that permanently, as health care experts Grace-Marie Arnett and Marie Fishpaw explained recently, is for Congress to take up a plan addressing three big goals: 1) lower costs and improve patient choices, 2) give states flexibility and resources to achieve these goals, and 3) set federal guardrails so people can choose private coverage if they don’t like the options their state provides. To get to that point, the GOP needs a bigger majority in the U.S. Senate and to hang on in the U.S. House of Representatives. Right now, the Republicans look to be losing seats in the House and probably the majority. That would be the end of real reform. A Democratic majority will define reform as an increase in the role for government and a taxpayer-funded bailout of insurance plans. What Mr. Trump is supposedly getting ready to propose may not just save health care but may also save the Republican majority, which cannot get through the election without addressing the issue. Finding and supporting ways to cut the cost of prescription drugs may be, in the short run, the only option left. We keep hearing about how short-term health plans are “junk insurance.” Really? Compared to ObamaCare’s high-deductible HMOs, or Medicaid’s long and often deadly waits? A new study finds that at least 21,900 people on Medicaid have died waiting for treatment in states that expanded Medicaid eligibility under ObamaCare. The reason, the Foundation for Government Accountability report says, is that ObamaCare opened Medicaid up to millions of able-bodied non-poor adults. That created a surge in demand for scarce Medicaid resources, forcing the poor to wait longer for services. Texas AG Ken Paxton and Wisconsin AG Brad Schimel on the lawsuit to end ObamaCare and the future of DACA. 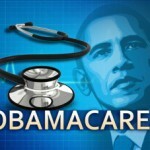 Idaho has become ground zero in a new ObamaCare fight, with officials pursuing major changes that could serve as a national model for other states looking to expand insurance options in defiance of the law – even as Democrats warn of higher costs for vulnerable customers. As soon as April, Blue Cross of Idaho is planning to make new options available. That’s after Gov. Butch Otter and Lt. Gov. Brad Little co-signed an executive order asking the Department of Insurance to seek creative ways to make health coverage more affordable. The move opened the door for plans that don’t adhere to ObamaCare coverage requirements – though with the Trump administration testing similar ideas, the state may be unlikely to face much resistance from the White House. Unlike Bernie Sanders’ single-payer system, which would abolish virtually all other forms of insurance, the plan would not ban employer coverage outright — at least not yet. In broad strokes, CAP would combine Medicaid and the individual insurance market into Medicare Extra, and allow individuals with other coverage, such as employer plans, traditional Medicare or VA coverage, to enroll in Medicare Extra instead. The goal of CAP’s plan is to grow government, and to grow dependence on government. The paper omits many important policies, such as how to pay for the new spending. Here are some of the major objectives and concerns. Other sections of the plan (discussed further below) suggest that private insurers could offer Medicare Choice coverage as one element of Medicare Extra. CAP indicates that persons purchasing coverage on the individual market would have a “choice of plans.” But didn’t Obamacare promise that already — and how’s that working out? For that matter, what happened to that whole “If you like your plan, you can keep it” concept? Moreover, the plan would also “integrate” Medicaid into Medicare Extra, “with the federal government paying the costs.” CAP provides few details on how exactly that “integration” would work, but suffice it to say that the able-bodied adults covered by Obamacare’s Medicaid expansion could face some interesting transitions as a result of this plan. In 2018, the federal poverty level stands at $25,100 for a family of four, making 500 percent of poverty $125,500. If that family lacks employer coverage (remember, the plan prohibits individuals from buying any other form of private insurance), CAP would tax that family 10 percent of income — $12,550 — to pay for its Medicare Extra plan. Moreover, the plan does not specify whether it caps the 10 percent threshold for families over 500 percent of poverty at the actual cost of premiums. (For instance, would a family with income of $200,000, but premium costs of $15,000, pay only their premium cost of $15,000, or $20,000 as 10 percent of their income?) If the latter, it would represent an even greater cost on middle-class families. It does no such thing. By paying private plans only 95 percent of the government-run plan’s costs, the bidding structure guarantees that private plans will provide better value than the government-run plan. Just as CAP decried “wasteful overpayments” to private insurers in Medicare Advantage, the CAP proposal will allow government bureaucrats to control billions of dollars in wasteful federal government spending on Medicare Extra. Translation: “If you don’t do exactly what we demand, we will punish you.” For a similar reason, the paper notes that legislation implementing the plan should “leave little to no discretion to the Administration on policy matters” — because Congress doesn’t try to micro-manage enough of the federal government as it is. But the plan also requires states to continue to make maintenance-of-effort payments even after the federal government takes Medicaid away from state jurisdiction. 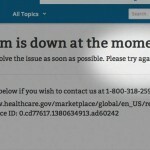 Moreover, the plan by its own admission “giv[es] a temporary discount [on the maintenance-of-effort provisions] to states that expanded their Medicaid programs” under Obamacare — effectively punishing states for a choice (i.e., to expand or not expand) that the Supreme Court made completely voluntary. And finally, it requires “states that currently provides benefits … not offered by Medicare Extra … to maintain those benefits,” leaving states perpetually on the hook for such spending. Would Employer Coverage Really Remain? Two questions linger over these options: First, would employer coverage remain? CAP obviously wishes that it would not in the long-term, while recognizing the political problems associated with an abrupt transition. Second, could employers game the system among the various contribution options? While details remain unclear, any plan that sets up two systems (let alone four) represents a classic arbitrage opportunity. If employers act rationally, they could end up reducing their own costs in a way that significantly increases the federal government’s obligations. CAP advertises its plan as providing “zero or low deductibles, free preventive care, free treatment for chronic disease” — the source of 75 percent of American health care spending — and “free generic drugs.” It would also expand coverage of long-term care services not covered by Medicare (and only partially covered by Medicaid). But all this “free” stuff won’t come cheap. In analyzing Bernie Sanders’ health care plan, the liberal Urban Institute estimated that it would increase overall health spending by 22.1 percent. Notably, the Urban researchers estimated that Sanders’ plan would raise spending by people who currently have health insurance by almost the same amount, or 15.1 percent, because the lack of cost-sharing will encourage individuals to increase their consumption of care. With the CAP plan apparently proposing that government fully subsidize more than three quarters of health care spending, its proposal will increase health care costs almost as much as Sanders’. The CAP plan proposes measures to lower costs — namely price controls (i.e., Medicare dictating prices to doctors, hospitals, and drug companies), with some token references to other policies like bundled payments and limiting the tax preference for employer-sponsored insurance. But if those proposals go the way of Obamacare’s “Cadillac tax” — potentially never implemented because politicians of both parties lack the discipline to control health care spending — then the plan will only raise health costs rather than lower them. The plan proposes that families with incomes below 150 percent of poverty ($37,150 for a family of four this year) pay for their coverage the princely sum of … zero dollars. 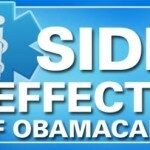 No premiums, no deductibles, no co-payments. Zero. Zip. Zilch. Nada. And while CAP does not include specific ideas to pay for all the associated new spending, the concepts it does propose largely involve taxing “the rich” (which includes small businesses). While it doesn’t work as it should — most people “get back” far more than they “pay in” — at least Medicare makes an attempt to have all individuals pay for coverage through the payroll tax. CAP’s plan amounts to a transfer of wealth from one group to another. Even The New York Times this week highlighted dissent from middle-class families upset at the thought of having to pay for low-income individuals to receive “free” Medicaid. So, CAP might want to rethink what Bill Clinton called “the craziest thing in the world” — making middle-class families pay even more for mandatory insurance ($12,550, anyone?) while certain families contribute not so much as a dime for coverage — along with just about every other element of its health care plan.